Part of the immense satisfaction of ownership is the opportunity to remake every aspect of your home. There are always things that can be improved. Taking on a bathroom remodeling project can even be an important part of the process of creating the type of life we envision for ourselves. The bathroom is one of our most intimate and personal spaces. You deserve to relax in the bathroom of your dreams. 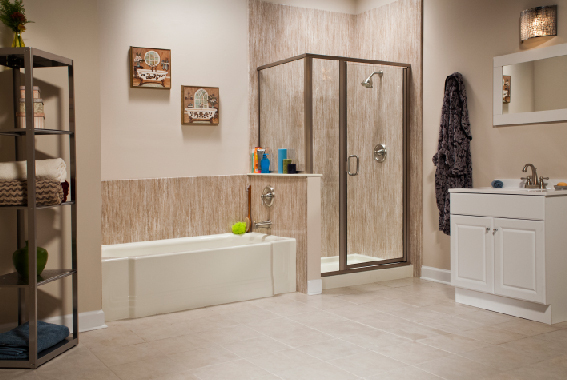 The good news is that getting started on your bathroom remodel in Charlotte, NC is easier than ever before. Correctly completing your Charlotte bathroom remodel requires multiple skill-sets and will bring together a team of contractors, each with their own different specialty. The bathroom is one of the few places in your home coursing with both electricity and water. It is where you are likely to have floors and walls created with two or more different materials that most seamlessly merge together. It is also where the touch, feel, and quality of the materials matters the most. Creating a relaxing oasis that always remains functional, and where every important piece is in its proper place, requires years of experience by a whole team of skilled designers and workers. This is not just true for bathroom remodeling in Charlotte, NC. When looking for experienced bathroom remodeling contractors, that experience should also extend well beyond the bathroom’s walls. Since a quality bathroom remodel requires so many different skills, taking on a variety of challenging projects demonstrates a company’s ability to bring extensive expertise into your home. Booking Construction is always happy to speak with you about the experience of their contractors and the projects we have successfully completed. 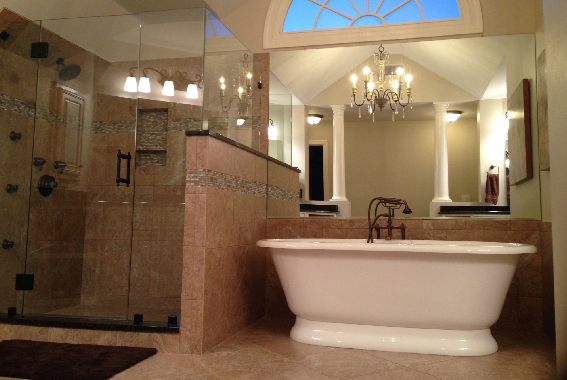 There can be many considerations to every aspect of a Charlotte bathroom remodel. Your own desire for the space should come first and foremost. It is always important to understand the specific ways you will use the space once the remodeling is finished. Whether you need to get multiple people moving out the front door quickly every morning, or seek a relaxing oasis to welcome you after a long day, or both, your purpose for your bathroom will drive the remodeling effort. Also consider the time frame of living in your current home. People move more often today than in the past. A typical American will move 11.7 times in the lifetime according to the Census Bureau. Style preferences and technology change even more often than people move. No matter the effort undertaken, after just a few years your Charlotte bathroom may begin to feel dated. When confronted with any tough choice regarding overall design and materials used, keep these facts in mind. As tough as these choices might seem, there may be some aspects you can decide to save for a future remodeling effort, or even for a future owner to undertake. Beyond your initial vision, you should also take into consideration the bathroom’s current footprint. Although an experienced contracting company can undertake a complete remodeling of your charlotte, NC bathroom, the effort can be significantly streamlined by maintaining some aspects of your current structure. An onsite evaluation by Booking Construction is perhaps the best way to evaluate the level of effort needed to create your perfect bathroom. All it takes is one quick call to easily schedule a thorough onsite evaluation. Once you have your initial vision set, it is time to get down to the details. The quality of materials you use, and whether or not you undertake any labor yourself, will impact the cost and timeline of your Charlotte bathroom remodel. It is always a good idea to discuss the different options available to you and the benefits of different configurations with experienced professionals, like the team at Book Construction. Although it may still be true that ‘form follows function,’ there can be a wide variety of flexibility when it comes to the amount of space devoted to bathtubs, showers, sinks, and other areas. There are also a variety of options for the many materials available today, and construction techniques that will be used to create your new bathroom’s feature. Again, speaking with experienced professionals, like those at Booking Construction is important, and the goal should be to formulate a plan. Any extensive remodeling effort requires a roadmap for success. The process of remodeling any bathroom takes time. Even before the initial design phase, you should research your contractor’s credentials and licenses, meet them in person, ask to see details on previous projects and speak with former clients about their experience. Before any work begins with a Charlotte remodeling contractor, make sure your plan is in writing. Contracts should include specifics on the scope of work, and any construction plan should include a detailed timeline, which should include any labor you are undertaking yourself. An experienced bathroom remodeling specialist at Booking Construction is always happy to walk you through every step of the process. 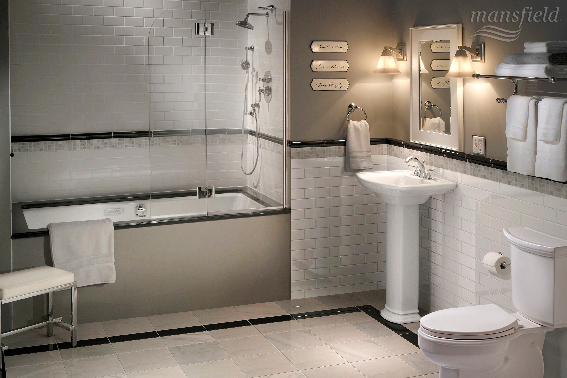 Remodeling your Charlotte, NC bathroom is one of the biggest projects you can undertake as a home owner. Which makes doing your research and working with skilled contractors all the more important. 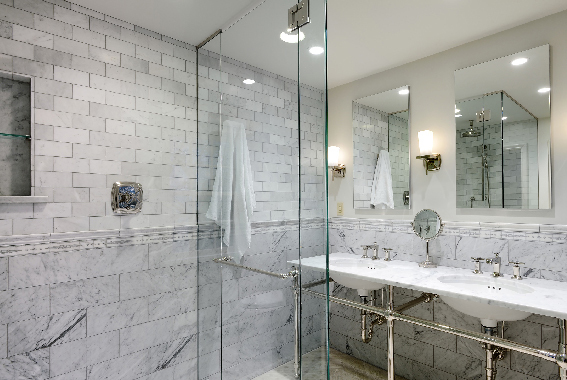 By keeping these points in mind, you will soon be relaxing in the bathroom of your dreams.